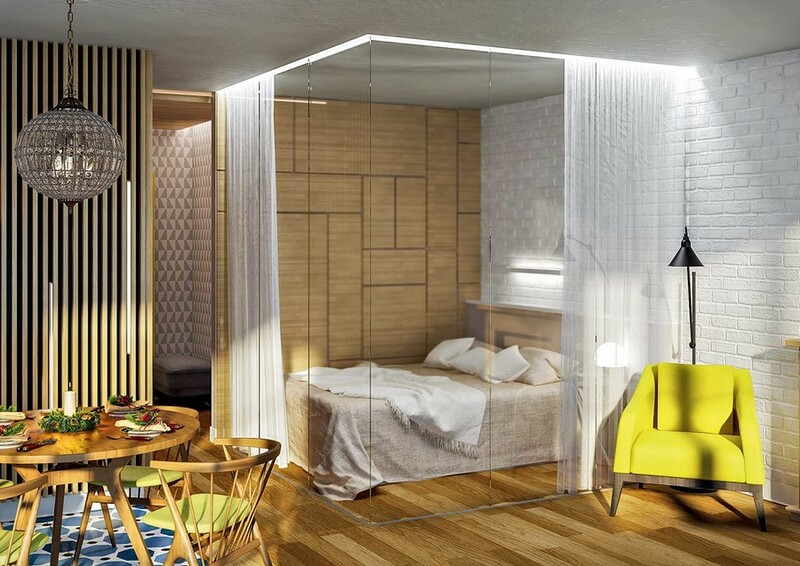 The anchorage of frameless glass sheets are hidden in an L-shaped highlighted recess, which turns the sleeping zone into a futuristic object at nights. 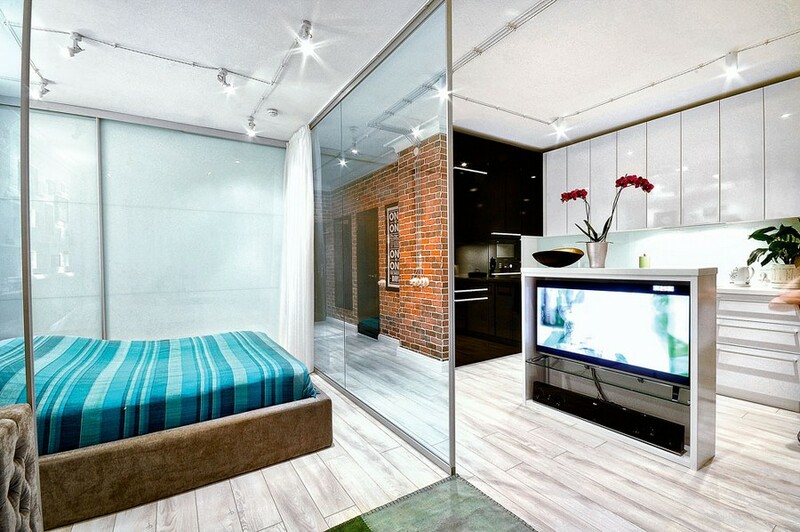 And sheer curtains arranged along the perimeter of the cube allow for creating a private space. 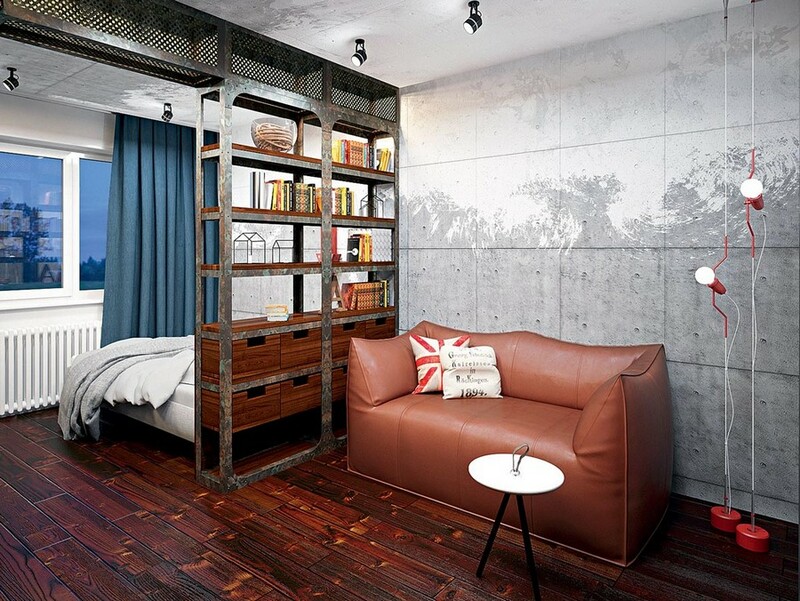 The borders of a sleeping zone located in the middle of the apartment are set by a slim welded metal framework that is almost invisible. And when white curtains are closed, the room looks like a lightbox. The issue of cooking smells is one the most problematic aspects of open-plan kitchens and living rooms. 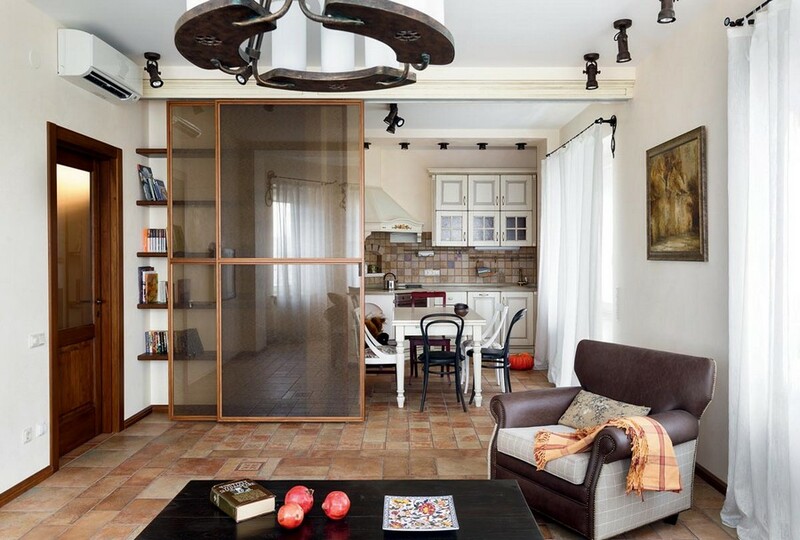 Sliding doors in tinted glass allow for creating scenarios for different functional needs of the hosts, making the spaces either open and interactive or absolutely isolated. At the same time one can get into a hall from both rooms. 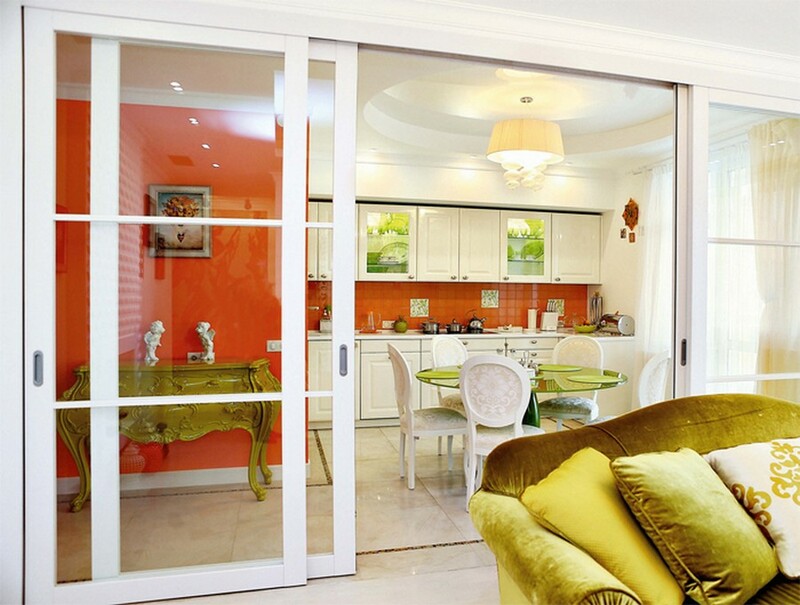 Here is one more project with sliding glass doors. But this time horizontal bars clearly set the borders between different functional areas. In this example the kitchen can be isolated from the lounge zone by textile curtains. 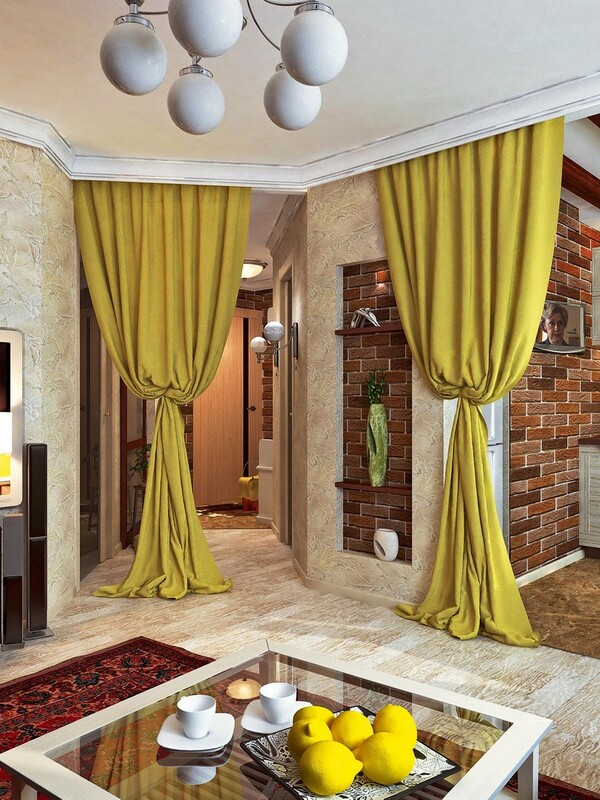 Here beautiful draperies hanging in open doorways visually divide the kitchen, entrance hall and living room. This room with a bay window was divided into a bedroom and living room by means of sliding glass doors coupled with draperies. 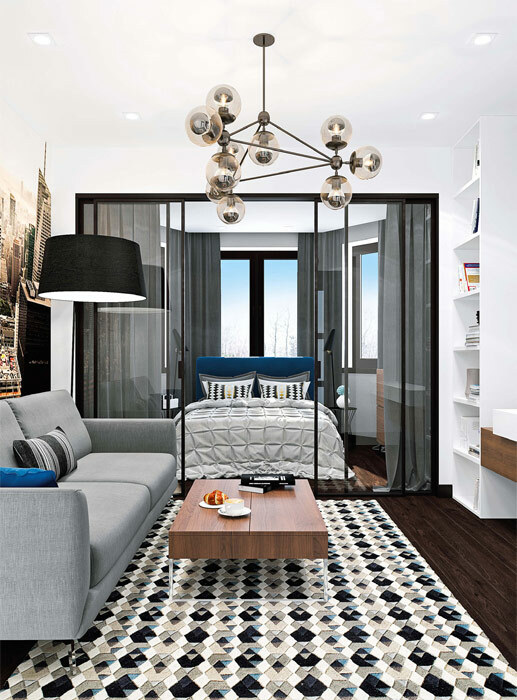 Such a mobile solution allows for creating a single open space with enough daylight in both parts, and dense curtains can isolate the sleeping zone when needed. 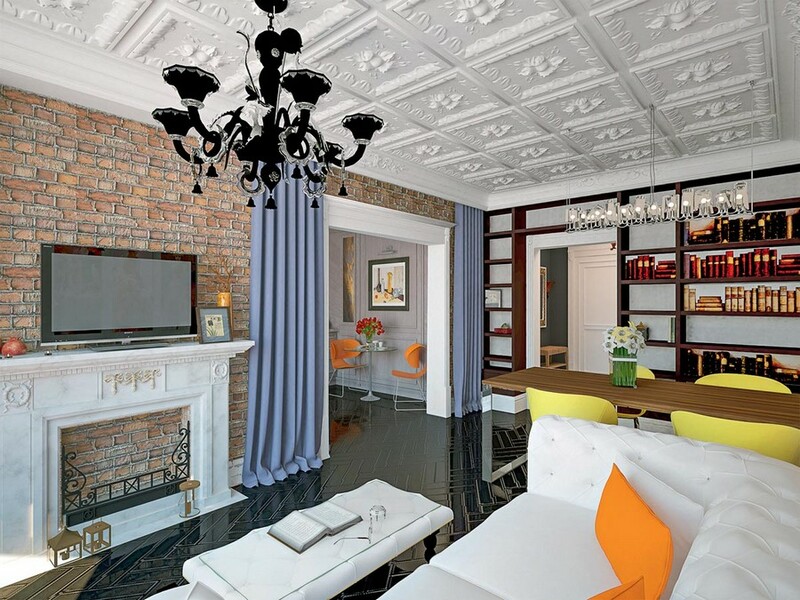 At the same time the fabric was selected to perfectly match gray walls and hence looks neutral from both sides of the partition. An open double-sided shelving unit indicates the border of the room and forms a full-fledged storage system at the same time. Thanks to its openness the hall gets enough daylight from the living room. 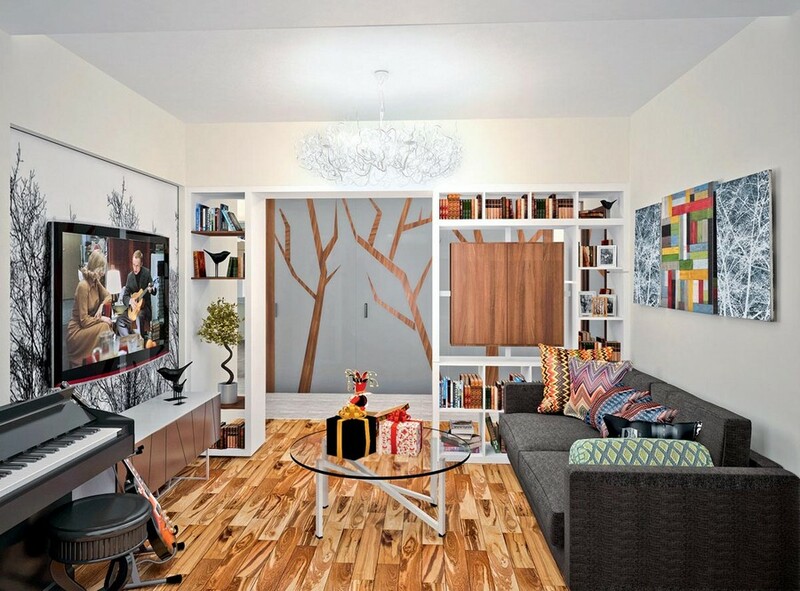 Here double-sided shelves divide a living room and bedroom while preserving a high degree of insolation. 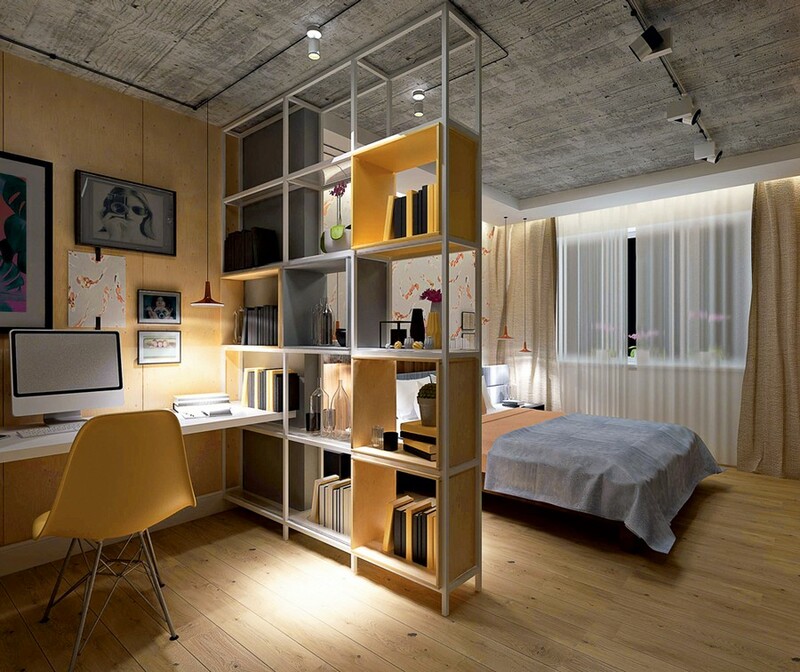 And in this project a three-segment open shelving unit separates a work area from the bedroom zone.